It’s crazy that I’m already up to Day 80!! It seems like everything has flown by so quickly. As mentioned previously, I’m both nervous and excited about finishing. As I go overseas soon, I’ve started scheduling some catch-up dinners/lunches with friends. It’s making me a bit anxious though as I don’t want to put too much fat back on. I will have to be a lot smarter with my meal choices but at the same time I don’t want to miss out. I’ll quote my mother here: “You don’t want to be the best looking skeleton in the cemetery!” Thanks Mom! Hello hamstrings! They are still tight from Monday’s leg circuit. It might be because up until last week I did two leg sessions a week but now it’s down to one. I didn’t think that I’d miss the leg sessions but I sort of do. I can’t believe that some people don’t even have a leg session in their workout plan. 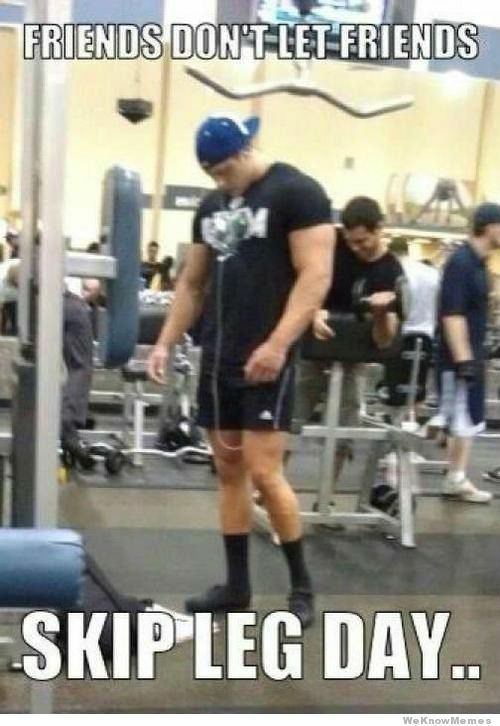 I see so many guys at the gym with big upper bodies and chicken legs. It’s very unattractive. This morning’s workout was chest and calves. I increased last week’s bench press weight by 2.5kg (ok, it’s a lot for me) and was wondering why I was struggling. I kept thinking: “But it’s only 12.5kg, why is it so difficult?” During the second set I realised that the bar itself was 10kg, so I was actually bench pressing 22.5kg! I know it’s not much, but I’m small and doing 20 reps of 22.5kg is hard work!! I’ve been thinking a lot about bread lately, which is weird considering I’m not really a fan. I was even considering buying a bread maker when someone pointed out that I have bread tins and a working oven. I don’t just want any bread though, I want something exciting and different. I found this recipe online for Blueberry Lemon Bread. I am so going to make that next week! I called my gym today to find out about measuring my body fat percentage and the lady on the phone told me that the service is only available to personal trainer customers. Wow, really? What am I paying high gym fees for? I asked her if I could pay to get it done and she umm’d and ahh’d and said that she supposes so. I then asked about their method and it’s just body scales. No thank you!